The Disadvantages of Fundamental analysis. Here Mark talks about the practicality of following the fundamentals that contribute to price movements. 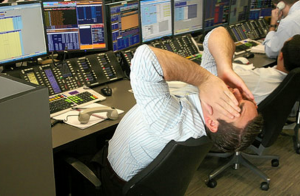 I am going to take a swing at you here, and assume at one stage in your trading career you pulled up the news calendar, frantically hit the refresh button, waiting for that economic data to be printed on your screen so you could place a trade in response. When the data is printed, you sell if it’s worse than expected figures, or buy the news if the results are better than expected. A buy on green, sell on red kind of arrangement. The data comes out bad, it’s red, and you quickly move to open a sell position. 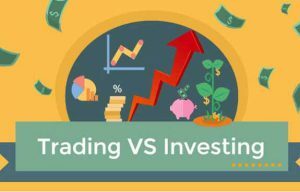 By the time you scurry over to your trading software and initiate a sell order, you find the market has moved significantly before you even had a chance to place an order. You can’t trade these economic releases from the calendar – the market reacts 10 times faster than your hand movements. It’s not really ‘fundamental analysis’, it’s just using the economic data calendar to be a cowboy. True fundamental analysis is done on a much larger scale. Real fundamental analysis is the study of economic situations of different countries and making an educated speculation whether that countries currency is undervalued or overvalued based all the economic and political data you have. As Mark Douglas pointed out, fundamental analysis is only effective at making long term predictions on a given market. Most traders wouldn’t have the discipline, or patience to ride out such moves. Trades like this would need to span over months, even a year. Lucky for us, today’s markets are dominated by the technicals – at least in the short/medium term. Using data from the charts themselves, you can anticipate future price movements without the hassle of sifting through mountains of economic data. This is why price action trading is so popular – it’s a straight to the point technical trading methodology that is relatively stress free. It is very hard for a retail ‘at home’ trader to position in the market on the back of high volatility. 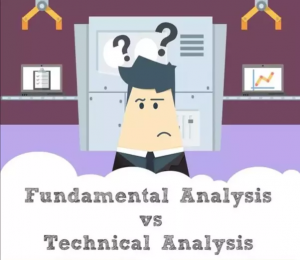 Fundamental analysis is only effective on a long term basis – if you really want to succeed, you’ve got a much higher chance if you adopt a robust technical trading system, like a price action based methodology, which derives trading signals from the charts, not the news feed.